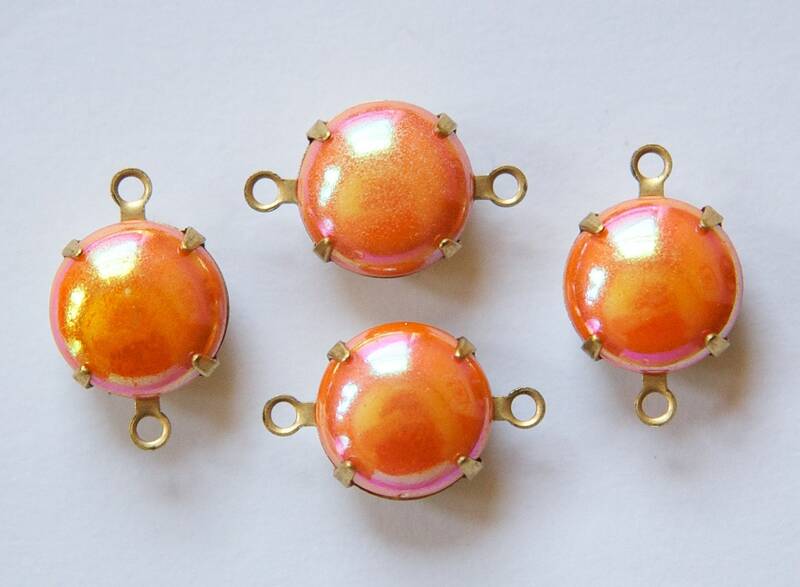 These are vintage orange AB glass stones set in brass settings. There is one loop to attach these as a drop or charm. 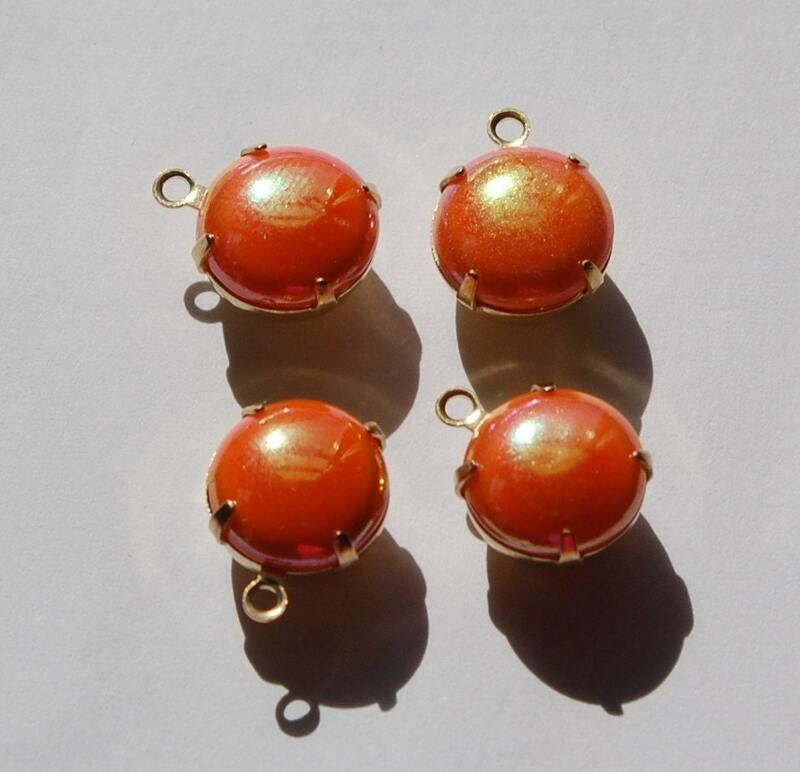 These measure 12mm. You will receive 4 of these. The second picture shows these in a 2 loop setting. Search rnd004S2 if you would like to see the listing for those. I loved all my items!